Flip a coin. 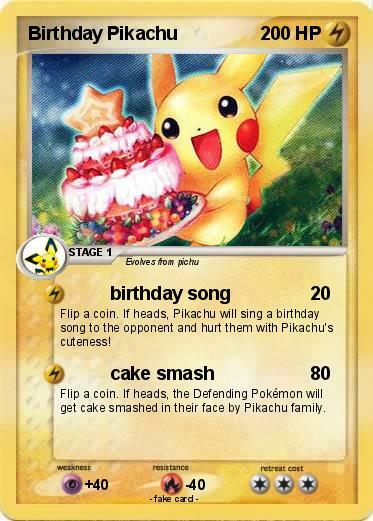 If heads, Pikachu will sing a birthday song to the opponent and hurt them with Pikachu's cuteness! Flip a coin. If heads, the Defending Pokémon will get cake smashed in their face by Pikachu family.